From time to time I make pizza at home. I barely buy it anymore, because homemade just tastes better. Also it’s automatically healthier. I have been trying to improve my homemade pizzas little by little by making my own whole wheat pizza dough and choosing healthier ingredients as toppings. Next on my list for improving my pizzas, is to eventually make my own special pizza tomato sauce. 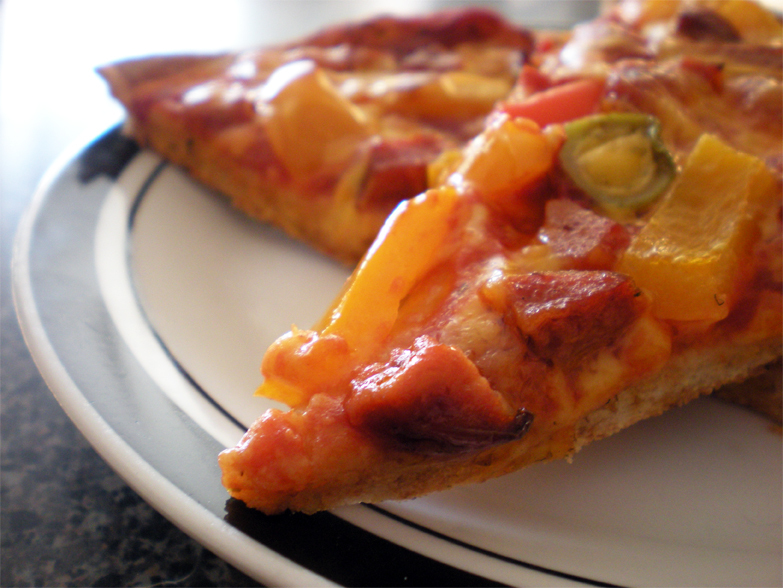 Today I’m sharing with you two different pizza topping combinations. 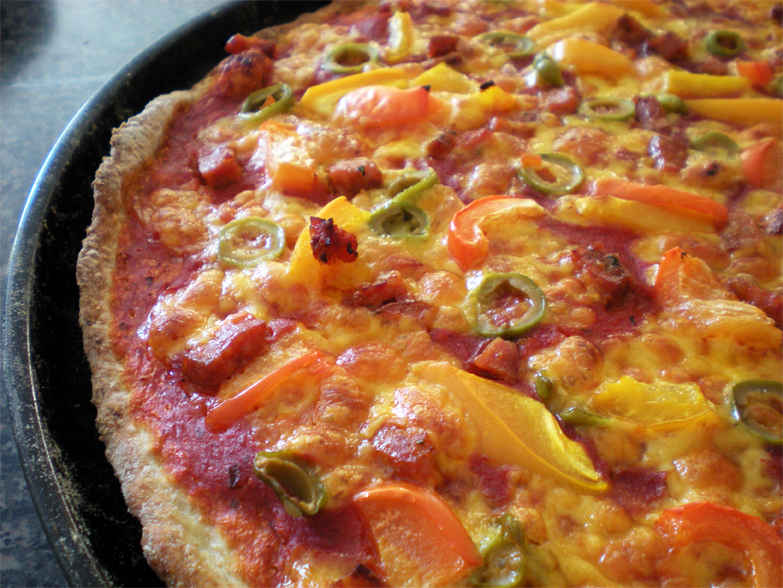 One is a traditional style pizza, which is not the healthiest pizzas of all, but the ingredients are fresh, used in moderation and vegetables are thrown into the mix. 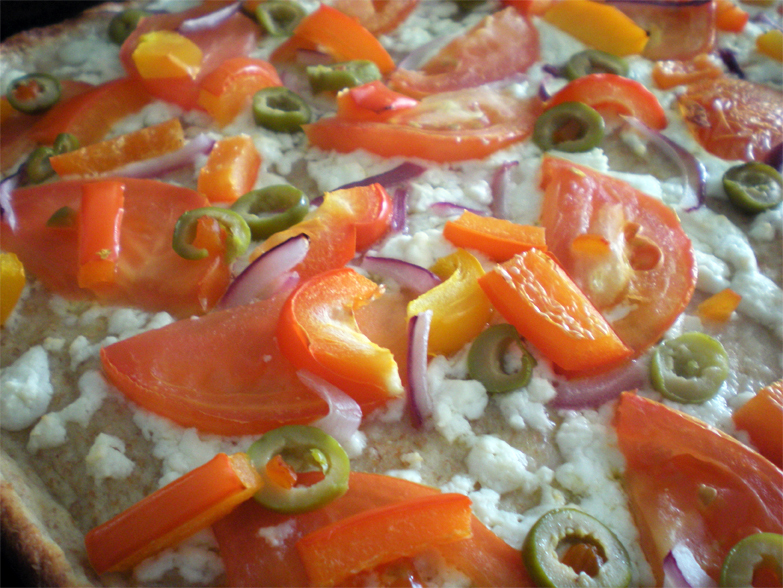 The other one is a quite a healthy pizza, using feta cheese instead of cheddar. I highly recommend making your own pizza. It’s very easy once you have a good recipe for the crust. From then on, you can throw on it any toppings that tickle your fancy. 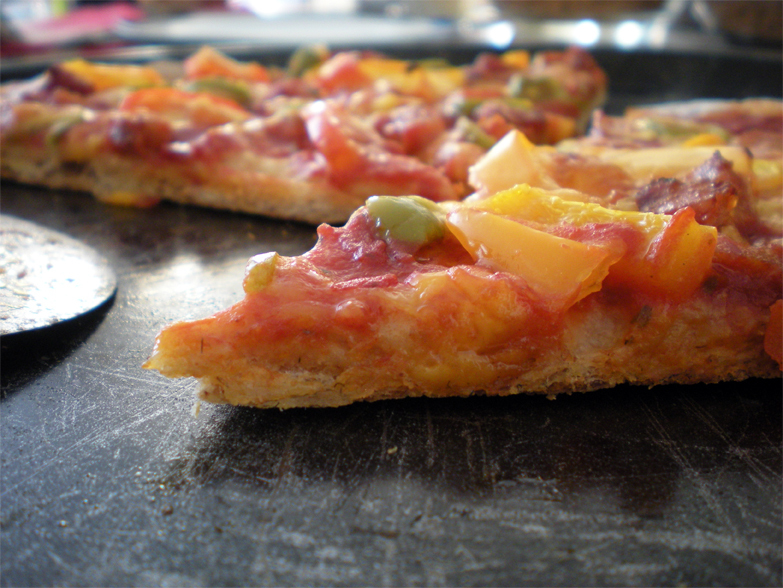 For these pizzas I used this whole wheat pizza dough recipe, for a nice thin and crispy crust. I cut the ball of dough in half because I wanted to make 2 thin crust pizzas. Place it on a greased baking sheet… and throw on it anything and everything you want! 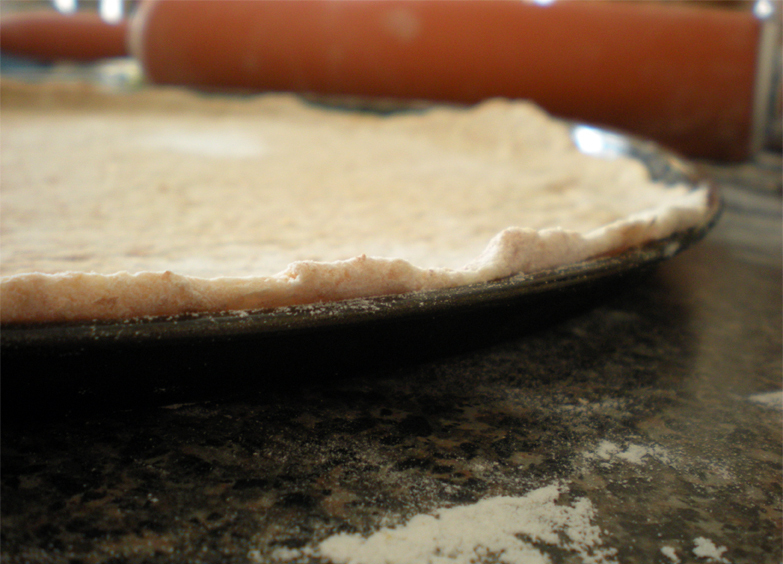 Bake both at 350˚F for about 15-20 minutes, until the crusts are nice and golden. These pizzas were delicious and very satisfying. Go and make yourself one now! And, yes…they were both gone by the end of the night. Reblogged this on Danielle Siewert Pad. Can’t wait to try this! Looks awesome! So beautiful! 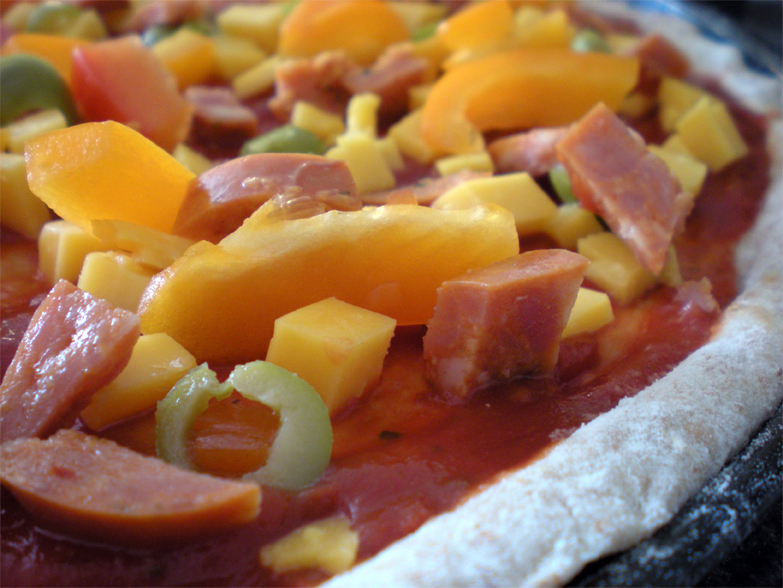 I agree, homemade pizza is tastier and healthier. Plus, kneading your own dough is a great way to work out all our aggressions! This looks so good! There is nothing else like homemade pizza! 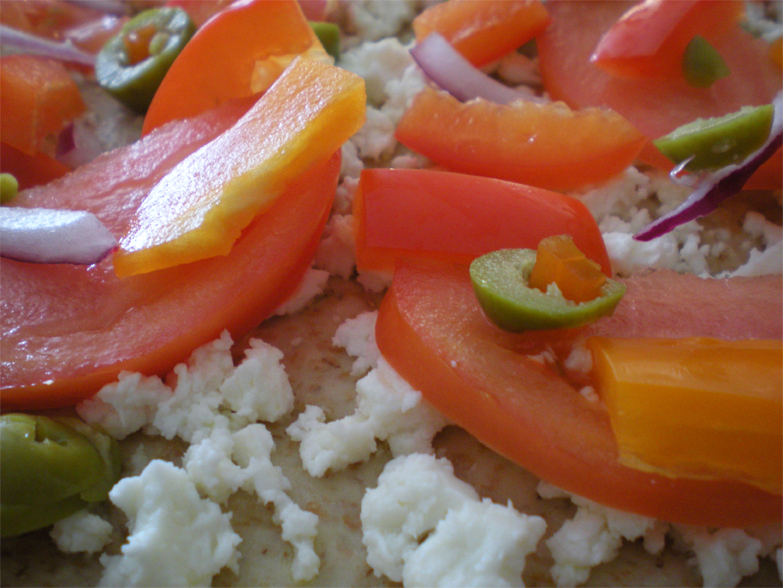 Love the feta cheese too! Will be trying this on the weekend – thank you! 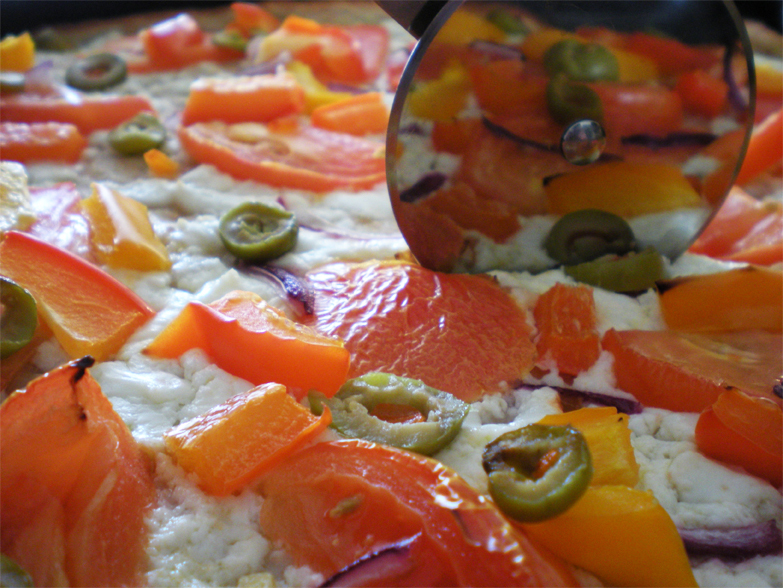 I totally agree with you – homemade pizza is definitely tastier and healthier! And I love making my own crust. Yours looks delicious – I’m going to add this whole wheat crust recipe to my list of items to try.